How to judge whether PoE equipment can exchange more Poe Currency? What Do You think about Fallout 76? Classes embody the character classes from other MMOs, and are the signature of every character in the world of Final Fantasy XIV. They offer starting skills and can grow into jobs, which further diversifies the player experience. Once a player reaches level 10 with their starting class, they can switch freely between any class in the game. This is done merely by equipping a classes weapon. Each class has its own unique leveling progression. This means that if you have a level 30 Lancer, but switch to a Gladiator for the first time, your Gladiator level will start at 1. Once you get a class to level 30, you can raise its designated secondary class to level 15 to unlock a specific Job, which unlocks powerful abilities and traits. Pugilists – hand to hand combatants – can level up a Lancer to 15, to which they can then become a Monk. Every class can progress into a Job; Arcanists however can chose between two Jobs. A Job can also borrow certain skills from its secondary class, which can be switched around at any time. 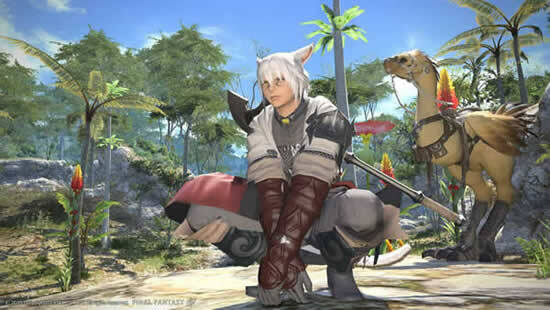 The only exception to this is with the brand new Jobs introduced in Heavensward, which require no classes – yet can still borrow skills from its secondary – and start at level 30 once unlocked. Gone are the days that you require alts to try out other styles of play – this system gives you flexibility to try your hand at everything. You’ll also receive an experience bonus for each class you get to maximum level.